“an idea wrenched out of time.” In other words, a memory. The expression "manual means of making graphical representation" makes me think of photography as a memory aid or augmenting tool. Although, of course, it would not necessarily refer to a symbolic portrayal. Interestingly, neuroscience today affirms our memory is far from a simple pointing to the past function, but it actually alters or edits the memory itself each time we go back to it and probably the subject who remembers changes in the process. Could that be an example of how technological aids can augment our brain processing of memories? r/GetMotivated - [TEXT] I just finished the online Coursera course "Learning how to learn". I highly recommend it to everyone and I summarized everything I learned from it. they are not meant to be substituted for a recollection that may fail. They constitute, rather, a material and a framework for exercises to be carried out frequently: reading, rereading, meditating, conversing with oneself and with others. Looking at one's academic notes in this sense, what if students were taught from a young age to view their notes and note taking as a continuous process which required frequent study and conversation? Even in college, students often only refer to notes as a means of remembering a specific fact, statement or concept. Hm. So in the analogy above, does that mean "others" in a community serve as reminders of how not to live (in the case of non-ascetics) or how to live (other ascetics)? Plato wouldn't like that (Phaedrus, writing as destructive to memory). Alzheimer's disease (AD) is not normally diagnosed until later in life, although evidence suggests that the disease starts at a much earlier age. Risk factors for AD, such as diabetes, hypertension and obesity, are known to have their affects during mid-life, though events very early in life, including maternal over-nutrition, can predispose offspring to develop these conditions. This study tested whether over-nutrition during pregnancy and lactation affected the development of AD in offspring, using a transgenic AD mouse model. Female triple-transgenic AD dam mice (3xTgAD) were exposed to a high-fat (60% energy from fat) or control diet during pregnancy and lactation. After weaning (at 3 weeks of age), female offspring were placed on a control diet and monitored up until 12 months of age during which time behavioural tests were performed. A transient increase in body weight was observed in 4-week-old offspring 3xTgAD mice from dams fed a high-fat diet. However, by 5 weeks of age the body weight of 3xTgAD mice from the maternal high-fat fed group was no different when compared to control-fed mice. A maternal high-fat diet led to a significant impairment in memory in 2- and 12-month-old 3xTgAD offspring mice when compared to offspring from control fed dams. These effects of a maternal high-fat diet on memory were accompanied by a significant increase (50%) in the number of tau positive neurones in the hippocampus. These data demonstrate that a high-fat diet during pregnancy and lactation increases memory impairments in female 3xTgAD mice and suggest that early life events during development might influence the onset and progression of AD later in life. Why, though, do we not romanticize our preservation? The same matter of chance, of the fleeting nature of fate exists on the other side of the coin. What would have happened if we were better rested, if our energy was better preserved, if we managed our time and said what we really mean? Rarely do we approach whether we get eight hours of sleep with the same guilt as we do whether or not we attended a party, even when, according to sleep expert Matthew Walker, sleep deprivation prevents the brain from remembering information, creating new memories, and sustaining emotional well-being. The genetic/epigenetic relation is a dimension of différance qua the history of life. The question then is that of a specification of différance differing and deferred, of the possibility of such specification, if it is true that Leroi-Gourhan’s major point consists in putting into question a clear break between the animal and the human. His way of broaching this problem brings him back, in the final analysis, to the heart of a simple opposition, albeit one shifted to the also quite traditional level of faber/sapiens. He is brought back in the same stroke (the coup of the second origin) to the metaphysics of an opposition between the inside and the outside, the before and the after, of the animal human and the spiritual human, and so on. We are trying to preserve and to broach the aporetic impossibility of simply opposing the interior to the exterior in speaking of an instrumental maieutics that alone permits an understanding of how tools do not derive from a creation or from a consciousness present to itself, master of matter, but pursue a process engaged long before the rupture yet nevertheless constitute a rupture— a new organization of différance, a différance of différance. Now, if the central concept is in fact that of epiphylogenetic memory, allowing for both the contestation of oppositions and the description and preservation of differentiations, it does not seem to us to have any equivalent in grammatological deconstructions. We shall develop this question further on the level of linear writing. Without such a concept, it seems to us impossible to specify the différance, differing and deferring, with respect to différance in general qua the history of life in general, or to say what the human is or is not. We are left: with the ambiguity of the invention of the human, that is, of the subject of the verb “to invent,” that which holds together the who and the what, as being that which binds them while separating them; this is, then, différance— this double movement, this intersection of reflection, this reflecting whereby the who and the what are constituted as the twin faces of the same phenomenon. The psychological Interpretation according to which the “I” has something ‘in the memory’ [“im Gedächtnis”] is at bottom a way of alluding to the existentially constitutive state of Being-in-the-world. this fact is unbelievably true ! it is much easier to remember places, objects, or rooms in a building by name than by number, because names have higher association values than numbers. a clear proof of the importance of association in learning process. The NSA must be psyched about this. all his memories of the days when Odette had been in love with him, which he had succeeded, up till that evening, in keeping invisible in the depths of his being, deceived by this sudden reflection of a season of love, whose sun, they supposed, had dawned again, had awakened from their slumber, had taken wing and risen to sing maddeningly in his ears, without pity for his present desolation, the forgotten strains of happiness. Here music brings back memories similar to how, in the Overture, the madeleine calls up memories for the narrator. Psychology explains this phenomenon, of a sensory experience bringing back a vivid memory. We used to think memories were stored in one area of the brain but it seems that memories are more a neural pattern connecting different sensory systems. So a certain smell can set of the firing of all the other sensory experiences associated with it. Apparently smell is the sense that is best at bringing up memories but sounds and tastes can definitely do so too. Some people think that these system calls are a good way to improve the performance of a high-performance process on a system. A common use case I’ve seen in the real world is to try to call mlockall() on a program that’s supposed to running with very high performance. The reasoning is that if the program is paged out to disk, that will reduce performance; therefore mlockall() will improve things.If you try to actually use mlockall() in this way you might run into some difficulties because most systems have a very low default ulimit on the number of pages a process can lock. With some twiddling of the default ulimits you can get this working, but perhaps it’s worth considering why the default ulimits are so low in the first place. Quoting Media Theorist & philosopher Wolfgang Ernst on his concept of processual memory: “The web provides immediate feedback, turning all present data into archival entries and archival entries into data – a dynamic agency, with no delay between memory and the present. Archive and memory become meta-phorical; a function of transfer pro-cesses.”, which Ernst describes as an economy of circulation – permanent transformations and updating. There are no places of memory, Ernst states, there are simply urls. In other words; digital memory is built from its archi-tecture, it is embedded in the network and constituted from how it links from one to another. there are no places of memory, there are simply urls. Robert Penn Warren: "When one is happy in forgetfulness, facts get forgotten." Indeed memory is being atrophied as a result of easy to access externalization, the temptation to just offload it onto the computer makes the forgetting curve even sharper. The concepts don't present to the mind when needed because since we didn't commit to our memory we can hardly perceive correlations to what we previously read. Simply we miss our chances to recall & connect new concepts and knowledge because we don't commit them to our memory. the longer must the mind be exerted in carrying forward the qualifying mem-ber ready for use. We've had some earlier discussion on dividing "Memory" out of the Rhetorical Canon, and Spencer seems pretty opposed to requiring the use of an audience's memory in oratory. We've also discussed in class Socrates' warning that literacy would be the pharmakon that destroys memory, and I think this is an extension of that idea. Very interesting point about passive stabilization in memory formation. memory under the domain of rhetoric either. I still don't fully understand the role of memory in rhetoric at this point in history, either. I know that it was eventually rejected as an outdated practice of the Greeks, but when exactly did that push-back begin? Was it already underway here, or was memorization-and-oration-as-rhetoric still in vogue? I'm struggling a bit to follow the chronology. memory is a link not just with earthly places but with those heavenly places where ideal fonns and true knowledge reside. How exactly was memory so powerful for Plato? This seems to be one of the biggest shifts from ancient rhetoric to modern rhetoric. In academia and rhetoric, it seems that memory isn't considered access to higher knowledge but more of a roadblock, just parroting other ideas rather than becoming truly innovative and a critical thinker. The term “testing” evokes a certain response from most of us: the person being tested is being evaluated on his or her knowledge or understanding of a particular area, and will be judged right or wrong, adequate or inadequate based on the performance given. This implicit definition does not reflect the settings in which the benefits of “test-enhanced learning” have been established. Testing as a demonstration of learning progress. Setting aside the last few minutes of a class to ask students to recall, articulate, and organize their memory of the content of the day’s class may provide significant benefits to their later memory of these topics. Formalizing the exit slip procedure in the BILL would be a good way to do this. This theory posits that memory has two components: storage strength and retrieval strength. Retrieval events improve storage strength, enhancing overall memory, and the effects are most pronounced at the point of forgetting—that is, retrieval at the point of forgetting has a greater impact on memory than repeated retrieval when retrieval strength is high. 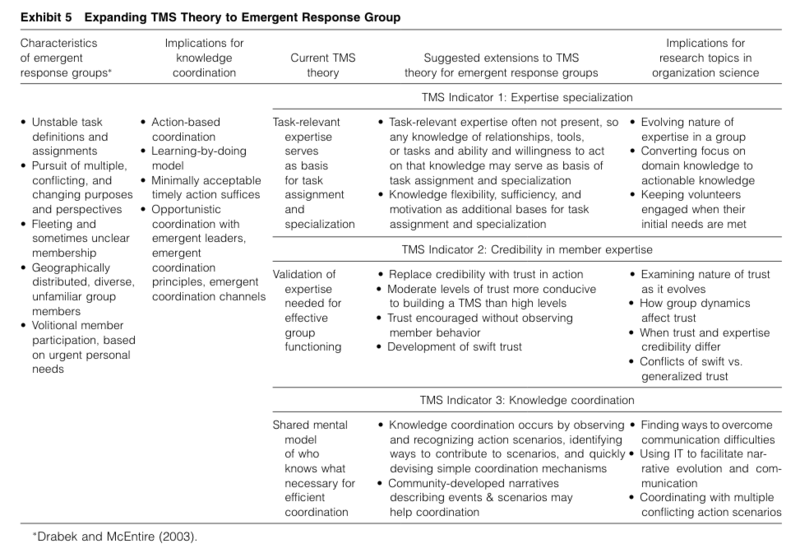 This meshes well with cognitive load theories about learning. It is easy to allow technology to replace memorization and other skills. We should be mindful of what we allow it to replace. Martin Luther King had a large store of writings memorized -- and it served him well when he wrote the Letter from a Birmingham Jail. We need more tools that will aid skill development instead of replacing useful skills. Spaced repetition software to assist memorization is one example. Phrase-by-phrase music training programs are another. The same ideas can be applied to memorization of text. L’analogico richiede una cultura del registrare e dunque uno sforzo per incidere qualcosa su pietra, argilla, papiro, pergamena o carta. Il digitale richiede una strategia del dimenticare; oggi tutto viene registrato automaticamente e ogni tanto bisogna fare uno sforzo per togliere, eliminare. Yeah, if the memory is maintained. I can't even keep my iTunes library from disintegrating. If your hard drive crashes, you lose it all, unless it's backed up, in which case you're creating copies that too will differ and degrade. FTT, as it applies to reasoning, is adapted from dual process models of human cognition. It differs from the traditional dual process model in that it makes a distinction between impulsivity and intuition—which are combined in System 1 according to traditional dual process theories—and then makes the claim that expertise and advanced cognition relies on intuition. The distinction between intuition and analysis depends on what kind of representation is used to process information. The mental representations described by FTT are categorized as either gist or verbatim representations: Gist representations are bottom-line understandings of the meaning of information or experience, and are used in intuitive gist processing. Verbatim representations are the precise and detailed representations of the exact information or experience, and are used in analytic verbatim processing. When people try to remember past events (e.g., a birthday party or the last dinner), they often commit two types of errors: errors of omission and errors of commission. Now compare this to the stack. The stack is like the heap in that it is a big block of memory with a “high water mark”. But what makes it a “stack” is that the memory on the bottom of the stack always lives longer than the memory on the top of the stack; the stack is strictly ordered. The objects that are going to die first are on the top, the objects that are going to die last are on the bottom. And with that guarantee, we know that the stack will never have holes, and therefore will not need compacting. We know that the stack memory will always be “freed” from the top, and therefore do not need a free list. We know that anything low-down on the stack is guaranteed alive, and so we do not need to mark or sweep. It is only by means of forgetfulness that man can ever reach the point of fancying himself to possess a "truth" of the grade just indicated. Better than either of these, however, is the man who, when he wishes, can repeat the words, and at the same time correctly apprehends their meaning. This line is comparable to Quintilian's high regard for improvisation. Augustine seems to go along the same lines arguing that better than just memory is memory with understanding. And best of all is being able to employ all of that whenever one wishes (improvisation). The remembrance of such admonitions will attend him to old age and will be of use even for the formation of his character. It is possible for him, also, to learn the sayings of eminent men, and select passages, chiefly from the poets (for the reading of poets is more pleasing to the young), in his play-time. Memory (as I shall show in its proper place) is most necessary to an orator and is eminently strengthened and nourished by exercise; and, at the age of which we are now speaking, and which cannot, as yet, produce anything of itself, it is almost the only faculty that can be improved by the aid of teachers. and therefore people think that, if his name is mentioned many times, many things have been said about him. So that Homer, by means of this illusion, has made a great deal of though he has mentioned him only in this one passage, and has preserved his memory, though he nowhere says a word about him afterwards. Another instance where memory is valorized as something having great worth if not power. It will be interesting to keep an eye on this as our readings unfold.